In our family, I am the person who always bakes birthday cakes for everyone and it is a job I love to do but this also means that I bake my own birthday cake. 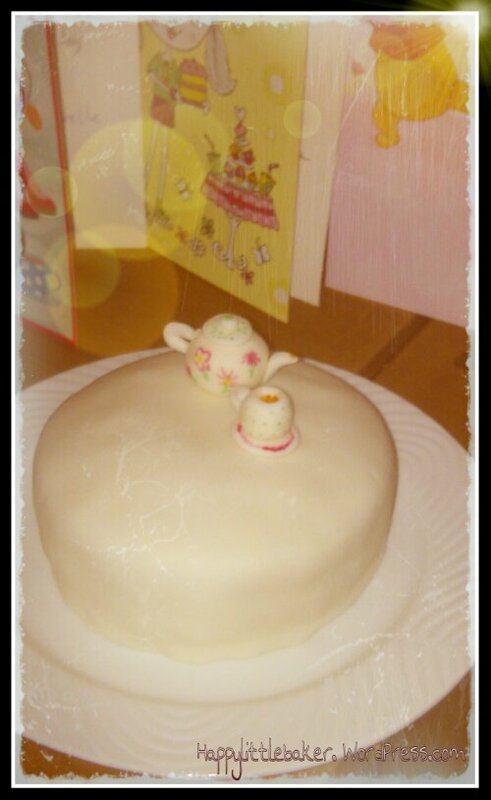 Now don’t feel sad for me, I get what I want, and I’ve also been bought a fair few (I had a great hello kitty one a couple of years ago) but nothing quite beats a home made cake so I choose what I fancy and make it. This year I a wanted a fruit cake with marzipan and icing so I used this recipe Easy Apple Fruit Cake as my base and then decorated with ivory icing. I used Ivory for no other reason than I found it in a shop for £1 for a 1000g, no special design purposes. 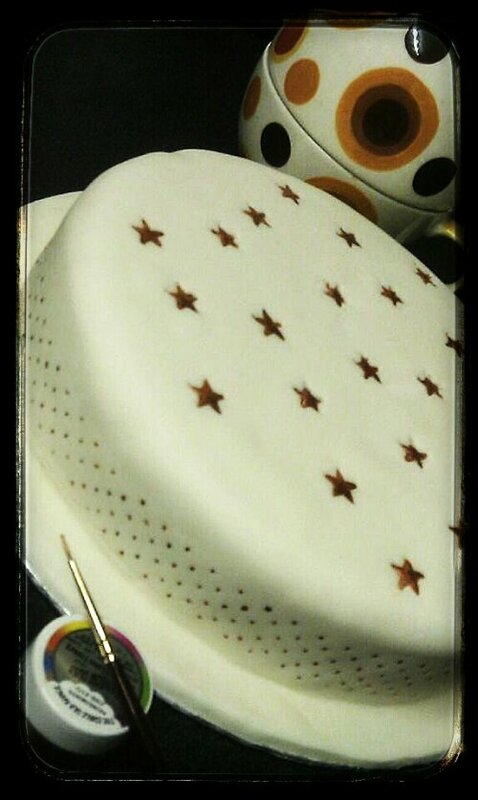 Then, because I was decorating my cake at night again I thought “this would look quite good with stars painted on it”. (!) Seemed like a quick and easy thing to do at the time. 21 hand painted stars later and a border, I also hand painted with hundreds of little dots, I was done. I am fairly pleased with it though it could have been a lot neater but I will blame my boredom by the end. I will definitely use this method again. Although my birthday isn’t till tomorrow, I’ve started eating the cake already… My birthday cake, my rules! Hehe. PS, I never write happy birthday on it, that would be weird.